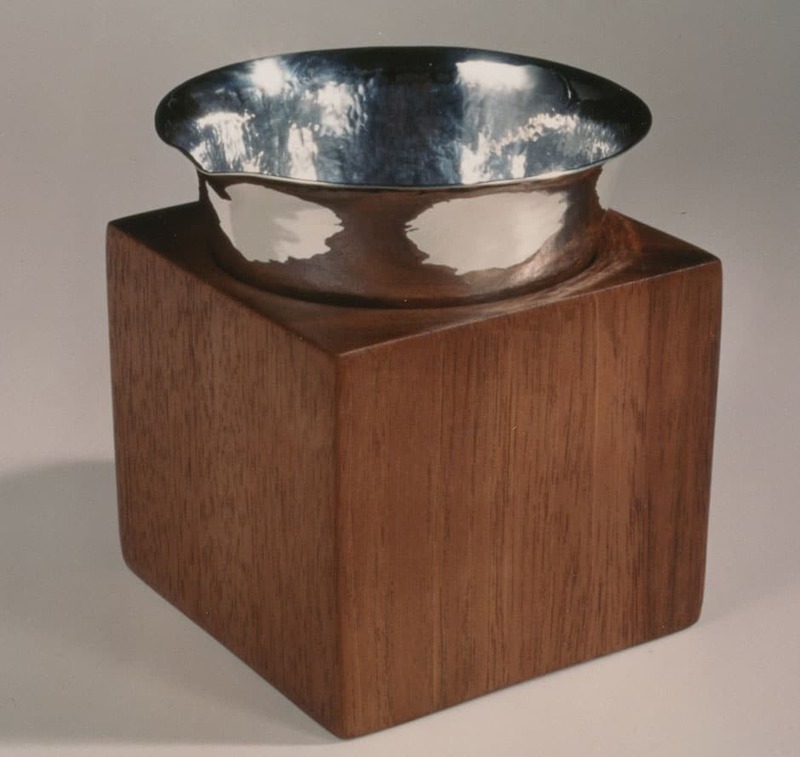 This vessel embodies the act of reciting kiddush, the moment of separation between profane and sacred time. Here, the wood block, material and earth-bound, represents the quotidian. 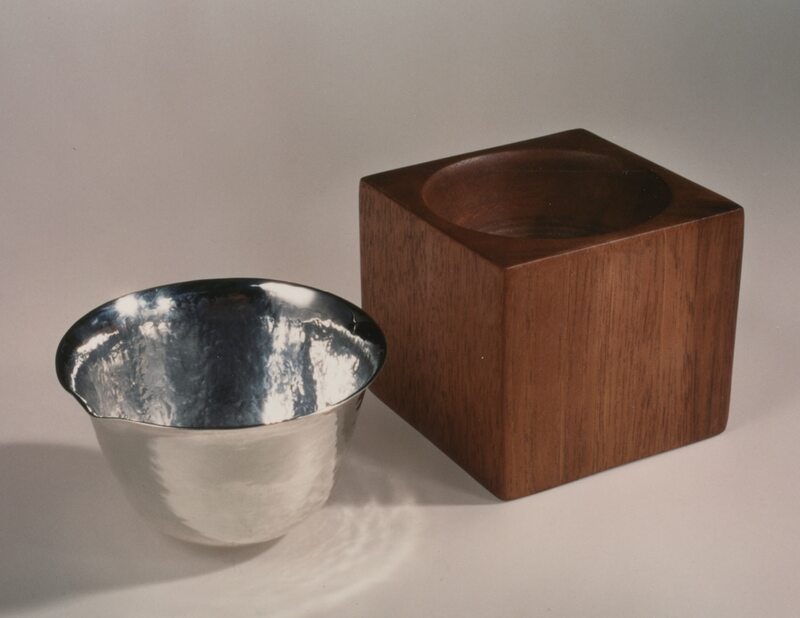 During the week, the silver cup nestles in this wooden shell. On the eve of Shabbat, the cup is filled with wine, and liberated from its everyday housing; it becomes a shimmering sign of the spiritual. Sterling silver + mahogany, 4" x 4"